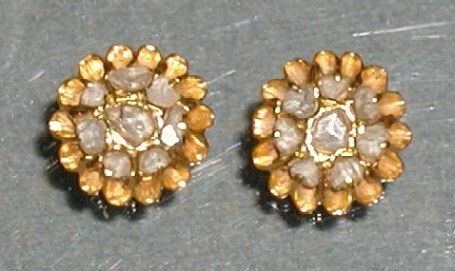 Peranakan, gold with solitaire intan earrings. 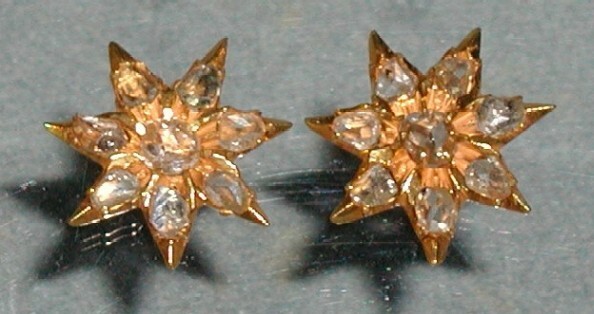 Gold with intan, 'star' design earrings. 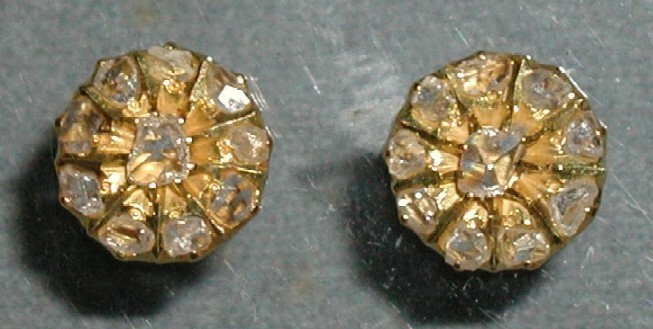 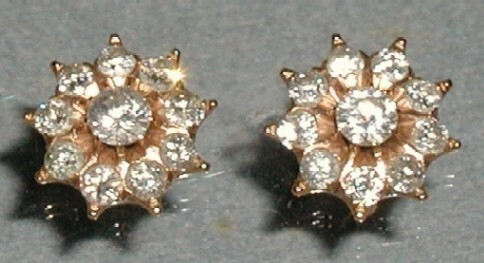 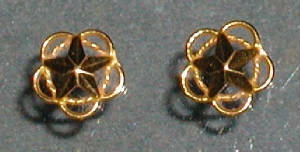 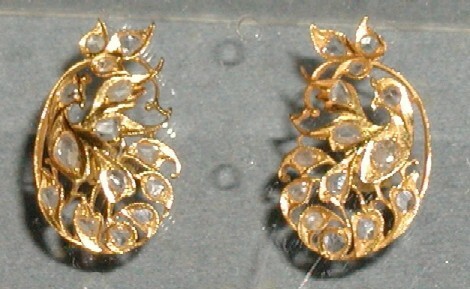 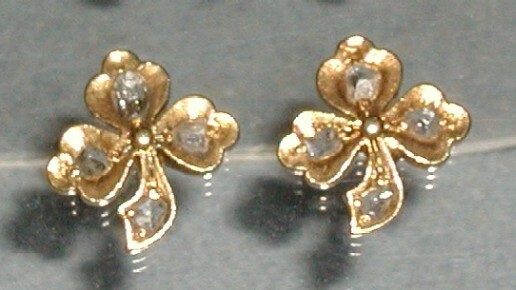 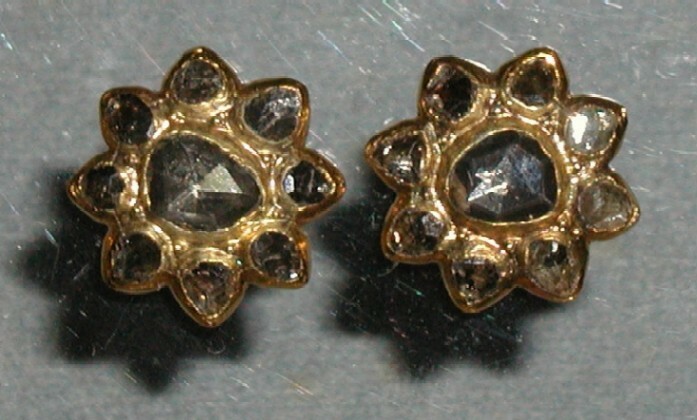 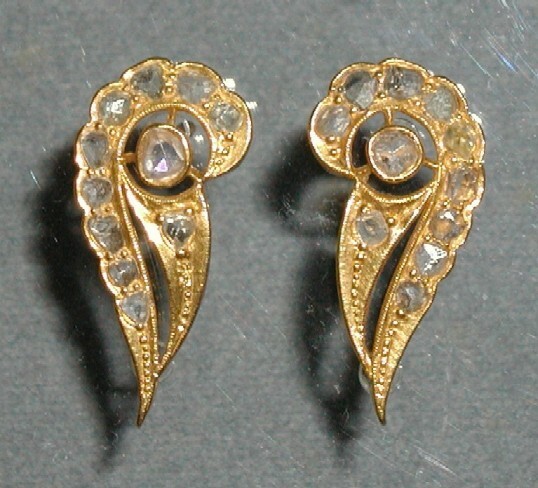 Peranakan, diamond on gold earrings. 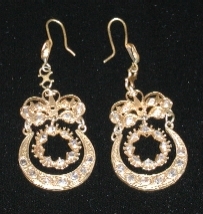 Gold with intan, clover design earrings.